WHAT DOES UST STAND FOR AND HOW DO YOU DO FIND THEM? It stands for Underground Storage Tank which is a tank and any underground piping connected to the tank that has at least 10 percent of its combined volume underground. For (UST) underground storage tank locating a considerable amount of time and expense can be saved to locate tank non-destructively utilizing our GPR services. We are able to identify and confirm the location of a previously buried drum even after it has been removed. If the underground storage tanks are buried below concrete or asphalt we can also tell you how thick the surface is and whether it is supported with rebar reinforcements, before you start to dig. Underground Storage Tanks (UST’s) can be located in asphalt driveways, parking lots, grassy areas, near buildings, behind garages, and just about anywhere you can imagine. If your considering buying or leasing a commercial property or buying a home you will want to know if there is a UST at that location, and you will want to get it checked out to make sure there is no leakage into the environment. It is important to identify the risk of a large environmental clean-up bill to remove the tank and the expensive task of cleaning the soil if it has been contaminated.The greatest potential hazard from a leaking UST is that the petroleum or other hazardous substance can seep into the soil and contaminate groundwater. A leaking UST can present other health and environmental risks, including the potential for fire and explosion. That is why it is important to bring in a company that can locate it and then refer you to the right people who can have it excavated if need be. WHAT KIND OF COMPANY SHOULD I CALL TO LOCATE MY UST ON MY PROPERTY? FIRST, it is important to call a reliable company that has the experience and can find the Underground Storage Tank accurately to determine where it is located, and a company that has the technology to determine if one has already been excavated from the area. We are able to identify and confirm the location of a previously buried drum even after it has been removed. If the underground storage tanks are buried below concrete or asphalt we can also tell you how thick the surface is and whether it is supported with rebar reinforcements, before you start to dig. Using Ground Penetrating Radar (GPR) we can locate Underground Storage Tanks (UST) and any associated underground piping. 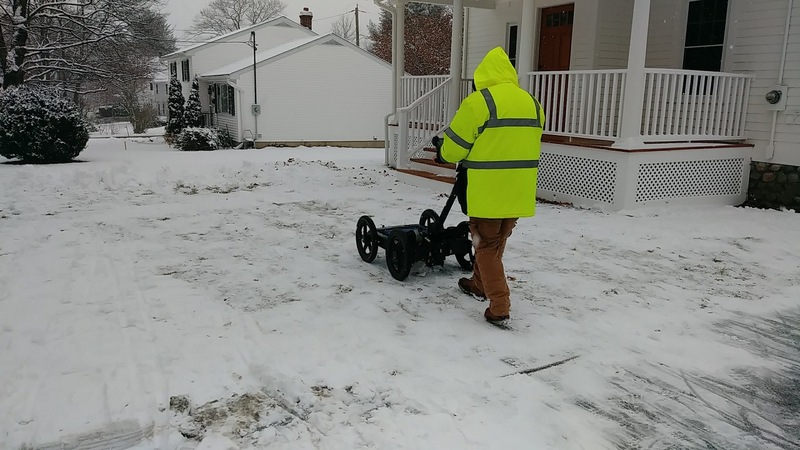 This non-destructive inspection and geophysical survey can determine the location and depth of a UST or provide the location of a former tank vault. We can mark on site the location of an existing or deteriorating tank prior to drilling or excavating operations. ACS Underground Solutions provides location services for underground storage tanks (USTs) on commercial, government, institutional, and residential properties. They can reliably and accurately locate the position, depth, and size of underground storage tanks. Often a residential home buyer hires ACS to make certain there is not an underground storage tank on the property that needs removal. There GPR technology accurately and quickly identifies the location and size of any steel, fiber glass, or plastic UST. Call 203.544.7190 with any questions or concerns you have about the location, condition, and safety of your underground storage tank. ACS will be happy to talk with and to come out to determine if there is a UST on your property and if so the exact location.